A spine-chilling ninety-six hour hunt through the worlds most dangerous terrain where history collides with gunfire. Will Mehrunisa get out of this one alive? One morning on her way to work, Mehrunisa gets a call that will change her life forever. The truth about her missing father is at her fingertips but it will take her on the most desperate chase of her lifetime. A chase that will pit her against hardened jihadi’s plotting the deadliest terror attack on India, that will test her mettle against history’s deep secrets, that will teach her that the price of love can mean bloodied hands. The Hunt for Kohinoor hurtles from icy Kashmir to snow-clad HinduKush, from the sinister corridors of a military hospital to the warrens of Peshawar, even as the clock counts down to the impending catastrophe. You can view the book’s high octane trailer at: http://bit.ly/TheTrailer and also watch its Motion Poster: http://bit.ly/THFKTeaser which is apparently the 1st Thriller Book Motion Cover in the World. Author of Earning the Laundry Stripes, The Long Walk Home and The Mehrunisa Trilogy. The First Book of the trilogy was the National best seller "The Taj Conspiracy" (AC Nielsen Scan) and was the Flipkart Editorial Pick of 2012. Her latest novel ‘The Hunt For Kohinoor’, the 2nd book of ‘The Mehrunisa Trilogy’ is creating a lot of buzz too. Recently, Mr. Anubhav Sinha, Director Ra-one and Producer Gulaab Gang went on record to say that Priyanka Chopra would be the best to play Mehrunisa [the central character in the book] & media from Canada to Pakistan, not to mention India, splashed the news. HT, DNA, Zoom, Bollywoodlife & many more [YouTube Link: http://bit.ly/bollywoodlife ] headlined the same. Even Priyanka Chopra posted the same on Facebook. There is something about Mehrunisa Khosa that breathes within you, long after you have finished the book. The aura of surreal mysticism, and yet embracing a reality that’s profound and introspective, you, as a reader, find yourself drawn towards this lady. A historian, blessed with the skill to decipher cryptic codes, Mehr turns out to be the readers’ fantasy, her intelligence coupled with her good looks, silently caressing through the words, so beautifully penned by the author, Manreet Sodhi Someshwar. 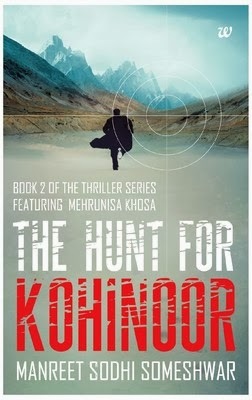 ‘The Hunt For Kohinoor’ is the second book in the thriller series featuring Mehrunisa Khosa. While ‘The Taj Conspiracy’, the first, was built around the beautiful monument and one of the wonders of the world, the Taj Mahal, ‘The Hunt For Kohinoor’ delves into the search for the legendary Kohinoor, with a modern metaphoric connotation to it, and that’s where the brilliance of the author emanates so bright. A concoction of history and a thrilling adventure involving a ninety-six hours hunt across borders, from Kashmir to Hindukush, and you know you have the right book in your hands. The character of Mehrunisa progresses with this book. We get to know more about her, her upbringings, her father whom she had long supposed to be dead, her pains and turmoil, and we fall in love with this lady. The author creates a sense of deep respect around her protagonist, and that flows in to the readers. Perhaps it’s the gift of the words that the author uses so benevolently that you seem to meander through the plot. The pace, initially slow, builds up gradually. The events are correlated, and very well sketched, each leading to the other, the strings connected firm and tight. The description is detailed when needed, specially the mention of the different landscapes that Mehr visits, and subtle and not over stretched at other places, making it both entertaining and insightful. Mehrunisa shines throughout the book. However, as a reader I would have also loved to read more about R. P. Singh. His appearance in the book was sudden, his character mainly playing a support role alongside Mehrunisa. However, a proper detailing of R.P. 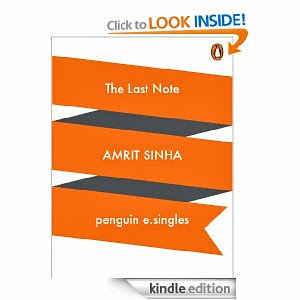 Singh is very much needed, and hopefully the author will take care of it in the next book in the series. Now, the question arises, how perfect is this book as a thriller? Though Manreet scores high with her narration and plot, the high-octane chase and unraveling secret codes that you expect from a book belonging to this genre, seems to be missing in this piece. True, there are a few instances here and there, but then again, they come in patches. Sometimes, you feel that the codes are being deciphered too easily. You wouldn't be disappointed though if you do not compare this novel with the other thrillers, and let it find a place of its own. There is enough action, drama and emotion to keep the readers hooked, but labeling it as a perfect thriller – I wouldn't do that. In short, this is a wonderful read, a great story, and a good blend of various genres, that should be read not only for the gripping plot, but also for the dollops of knowledge related to places and events that come packed with it. 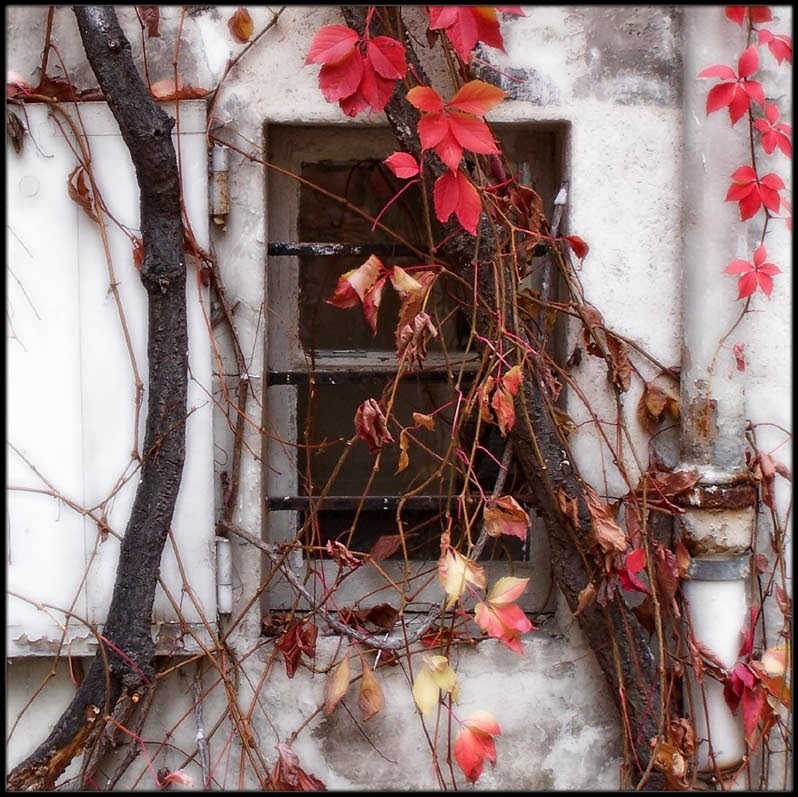 This Haiku is shared with Haiku Horizons - First. Fourth translation ... and yes, this does seem challenging. Translating something originally written by one of my favorite writers, Sadia, and that too in a language I never really learnt formally, is indeed quite a challenge. But yes, it was fun, and satisfying. 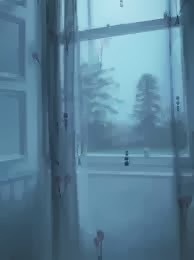 what would you name this melody? Read her beautiful poem in the link below. I am glad she allows me to translate her poems. Perhaps, its the beauty of Urdu, or the magic of her words, or maybe, a perfect concoction of both, that makes it irresistible for readers like me not to get inspired by what she writes. 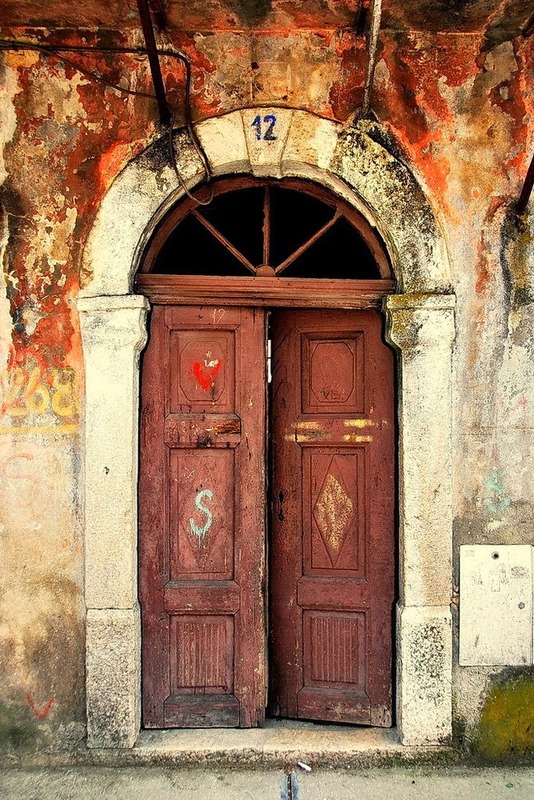 open door - can you hear his footsteps? Eagerly waiting for feedback from all of you. The Mahabharata endures as the great epic of India. 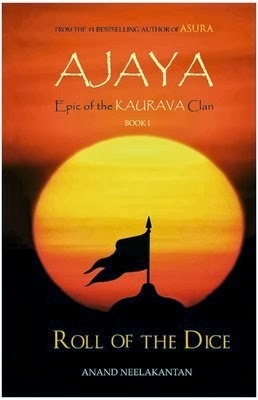 But while Jaya is the story of the Pandavas, told from the perspective of the victors of Kurukshetra; Ajaya is the narrative of the 'unconquerable' Kauravas, who were decimated to the last man. There have been several interpretations and re-interpretations of this widely known epic, by Indian as well as foreign authors. How is this book different from the rest then? To this, I say, hold your breath, ladies and gentleman, though the basic premise is the same, what this book presents is a difference in view point. We have adored the Pandavas over the ages, accusing Duryodhana and the Kauravas of treachery and evil. ‘Ajaya’ reverses the flow, projecting Duryodhana, or rather Suyodhana, as the misunderstood kind-hearted Prince, whose good nature and simplicity towards life is taken undue advantage of by his Pandava cousins. Anand does a good job of laying the foundation of a gripping series with ‘Ajaya’. He introduces the events in a detailed manner, his rich imagery performing its part to accentuate the beauty on the pieces he carves. The description of Hastinapur, with its grandeur, is magnificent, and when the author also highlights the darker side of the kingdom, where Nishada and other low caste people dwell in poverty and hopelessness, your heart certainly sprinkles a few drops of tears. The caste system of that time has been explained elaborately, and the concept of ‘Dharma’, adopted by the Pandava princes, and Yudhisthira in particular, along with Krishna, will certainly raise questions and doubts in your mind. Were they right in adopting a system that creates a divide among the various classes of people depending on their birth? Shouldn't every person be provided with the same opportunity and rights to fulfill his dreams and duties? Suyodhana, the eldest Kaurava Prince, wins your heart. You ache in pain when he suffers, mostly at the hands of Bhima, and also when he is insulted by his teacher Guru Dronacharya, who doesn't acknowledge the purity of his mind and the goodness of his intentions and instead rebukes him for lacking the will to fight wars like a true Kshatriya. Suyodhana is also teased cruelly on his father’s blindness. Several subplots come together to form the bigger picture in this book. Characters like Parashurama (the powerful teacher of the Southern Confederate), Ekalavya (a young Nishada who dreams of becoming the best archer in the country), Karna (the son of a charioteer, whose skills are overlooked only because he is a Suta), Balarama (the Yadava leader who visualizes a city of prosperity and knowledge), Takshaka (the ferocious Naga leader), and Jara the beggar and his blind dog, form key roles in taking the story forward. I am a fan of mythological stories, and I loved reading this unique version of the Mahabharata. The book starts at Gandhara, with Bhishma telling Gandhari that he would like her to marry Dhritarashtra, and ends with the last roll of the dice from the hands of Shakuni, with the Pandavas losing everything they had, even their wife, Draupadi. Though most of us already know the basic premise of Mahabharata, it’s the manner in which it has been retold, and the different perspectives provided, that will make you wake up all night and finish reading this book. Truly, ‘Ajaya’ would rate as one of the most creative books that the ardent reader in me has come across all these years. Too late you have been to this yearning dove." Sadia, I know I have erred in finding the right words to translate your original creation that's so divinely beautiful, but then I would apologize for the same saying - "To err is human" ;-) Eagerly awaiting your feedback. "A Change In The Mindset Can Inspire A Paradigm Shift In Our Ways Of Living"
Kirthi is a legal researcher and lawyer. 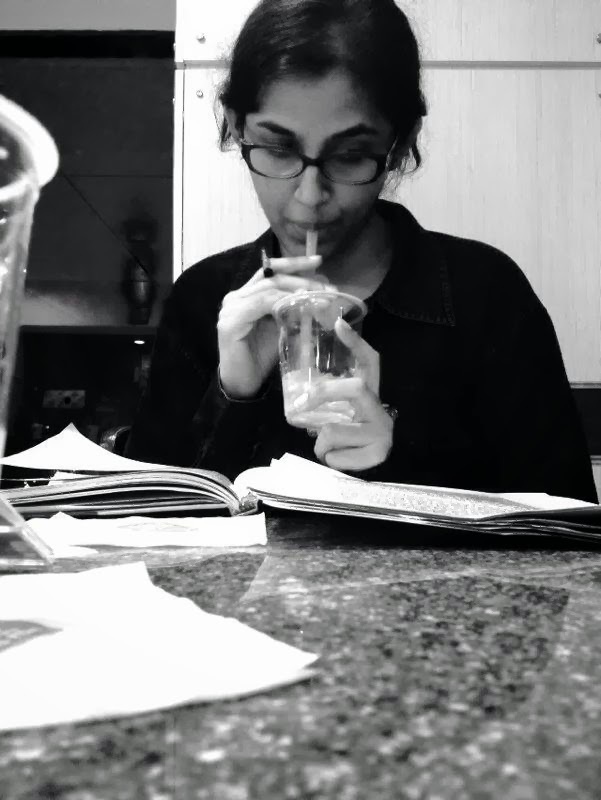 A Peace and Conflict studies enthusiast, Kirthi is a volunteer with the UN. She is presently a Senior Commissioning Editor with e-IR, an online International Relations portal, the Logistics and Constituents Head at The Channel Initiative, working for post-conflict reconstruction in the DR Congo, specifically targeting women. Kirthi works with DeltaWomen, as the Head of Digital Campaigns and Social Media, and as a writer. She also holds a position with CAAGLOP, as the Editor-in-Chief of the eJournals, and as a writer on African Policy. Recently, Kirthi was part of the UNICEF-UN Women Global Thematic Consultation on Addressing Inequalities through her paper titled The Rule of Law to combat Sexual Violence in a Conflict Environment. Kirthi dabbles with Intelligence and Security Analysis with Open Briefing, as an Associate Researcher, at the Asia-Pacific Desk, and runs an International Law Consultancy and Academic Journal called A38. Kirthi has written ad-hoc features for forums that include Insight on Conflict, TransConflict, WorldPulse and PeaceXPeace and is a member of the TrustLaw Network. Her interest and experience over all lie in Peace and Conflict, Public International Law, Gender issues, International Humanitarian Law, and in terms of a regional focus, in Afghanistan, the Middle East, DR Congo and South-Asia. ‘Stories of Hope’ is her first book. To read the full review of 'Stories of Hope', click here. I consider myself lucky to have read ‘Stories of Hope’, as it is not just a book, but rather, it’s a reflection of different shades of life, light and dark, and how hope guides us through life’s biggest hurdles. I am glad to introduce the author of this beautiful book, Kirthi Jayakumar. Kirthi, congratulations for your book. As I have told you so many times before, I loved reading the stories, and perhaps, this is one book that I will treasure forever. It would be a pleasure to know more about you, your dreams, and your passions. In case you find any question offensive, you can skip it. I apologize in advance for any such instances. Tell us something about yourself, your upbringing, your childhood, family and education. I was born in Bangalore, and grew up between Bangalore and Chennai. I've always seen myself as something of a nomad. I don’t have any fixed ideas, no set goals and no sense of being rooted to one single destination in mind – which is why I enjoy the idea of doing many things, I guess. I've always been a strong person when it comes to the bonds I make, though, so I guess that takes me to my family and friends :) My family comprises my mum and dad, my brother, my grandfather and me. I have four fantastic friends that I count on as family as well. My childhood was a mixed bag – there was happy, there was sad, there was crazy, there was mad – but I reckon that’s pretty much what everyone’s childhood was like ;) I went to Law School , but was never inclined towards practice. I guess I've been more in line with seeking justice rather than worrying about the aesthetics of the law. How did ‘Stories of Hope’ happen? What prompted you to write a book? Kirthi, you are one versatile personality, handling several strings like working as a legal researcher, a lawyer, a volunteer with the United Nations, a Senior Commissioning Editor with e-IR, working with DeltaWomen, and the list goes on. Just out of curiosity, I would like to know that how do you find time for yourself after these? How was the entire journey of publishing the book, right from the inception of the idea to the moment you held the printed words in your own hand? Simply surreal! And it still is – I look at the book and sometimes wonder if it really happened, or if the whole thing was just in my head ;) It was a surprise, and in every sense, a beautiful one. Of course, I do recognize that I was involved in the process – but you still see something so awesome happen to you only as something so surreal, right? Which is your favorite story in the book? Ask a mother to pick a favorite from her kids – can she, truly, now? :) So I’ll give you an answer, but I guess I can’t really say it is a favorite – because I love and hate all the stories I've written in the book – but I guess “When the Mustard Seeds grew silent...” is closest to my heart. I lost a girl I loved like a little sister to child marriage, and it was a very emotional deal for me. Who are your role models, both in literary as well as in non-literary field? I don’t mean this in an arrogant way, but I have come to learn that it is a wiser course of action to never keep a role model as a vision. I believe in appreciating the good in everyone and being inspired by their dedication or goodness for your own advancement – but the idea of a role model is not good because in trying to model yourself on someone, you tend to lose your own identity. No arrogance intended or meant, just that I believe that everyone is unique, special and beautiful in their own distinct ways and should be loved for it! Name three books that you wish you had written. Are you planning, or working on any book now? If yes, what is it about? Yes sir! I am now working on a non-fiction book on 50 women peacemakers across the world, and have also written a couple of short stories – we’ll see where they go! What changes would you like to see in India, as well as globally, in terms of the way of living and the mind-set of people? For starters, I think a change in the mindset can inspire a paradigm shift in our ways of living. I guess I would say that the best changes I’d like to see in people is the development of a sense of empathy, tolerance, respect and acceptance of diversity and uniqueness. There are many young aspiring writers in India today. What are your views in the current publishing pattern in the country? The more the merrier! I think, though, that true writing should be given the importance it deserves. True, books also mean business, but the fact is that quality comes first, and that should never be compromised upon. Thank you for reading the stories! :) It means a lot to me that you did. And those that didn't, I hope you might, someday. Thanks a lot Kirthi for your valuable time. Wishing you loads of success in your current and future endeavors. This Haiku is shared with Carpe Diem - Shozanji. Knowledge alone can never be great. Rather, it's the proper utilization of the acquired knowledge that can term it as 'great'. But, then again, how do we measure greatness? A top rank in class, or outnumbering every one else in a nation wide competitive exams. True, they provide us with momentary pleasures, but can they really be referred to as 'great'? For a moment, let's close our eyes, breathe deep, and think. Think, what do you want to do, for yourself, for your family, and for the people around you. How do you envision your life, five, or even ten years from now? Do you see a cloudy image of your future, or does the mist evaporate, leaving behind a crystal clear residue that is your reflection? Do you live to dream, or do you dream to live? When you find answer to these questions, detailed, then you can truly say that yes, you can make great use of the knowledge. The 'Knowledge Is Great' initiative by British Council gives you the option to specialize in a particular subject of your choice, and make great use of your skill sets. It provides the stepping stone to your future dreams and aspirations, broadening the horizon, and leading you to the initial steps. Coming back to the point, if I had the choice of studying any subject of my choice in the UK, I would opt for "Children and Young People's Mental Health and Psychological Practice MSc" programme. It's a 1 year full time programme that deals with psychological aspects in the field of child and adoloscent mental health, something that's of prime importance, but unfortunately, neglected globally. University of Edinburgh ranks high in my list when I search for this course online. It is one of the few Universities worldwide that offers specialization in this important subject. The School can be credited with a consistently high rank over the years in the Financial Times and Economist ranking. What more, it has a 73-strong teaching faculty with vast experiences in academics and industry level. The third and the most important question - 'Why?' Why do I want to study 'Children and Young People's Mental Health and Psychological Practice MSc' and not anything else. Well, the reasons are simple. Childhood and adolescence are the most sensitive phases of a human life. As such, they need to be nurtured with care and understanding. With nuclear family system on the rise, children don't get to socialize with other family members and relatives on a regular basis, resulting in a sense of aloofness. In most households, both the parents are working. As such, children often have to spend most of the time by themselves, or with their friends. The high competition in studies cause a turmoil in young minds, leading to stress and depression when they fail to perform as per their expectations. Adolescence experiences stages of anxieties and heartbreaks due to numerous reasons, which if not dealth with properly can lead to greater problems in future. Crimes by teenagers is on the rise, which again, can be blamed to proper upbringing and mental development. Whatever we do, we can never ignore the health and stability of the children, as without them, the world would have no future. Thus, if provided with an opportunity, I would love to opt for this field of study, and contribute in whatever way I can, to the future of us, and this world. This is my official entry to 'Knowledge Is Great' contest organized by Indiblogger in association with British Council. Born and brought up in Kanpur, Sankalp is an MBA graduate from NMIMS, Mumbai. Apart from being an entrepreneurial soul, he is a workaholic who believes in turning every single moment of life into something constructive and fruitful. All his dreams and aspirations are driven by his wish to make his parents feel proud of him.His first attempt with the pen in the form of Because Every Raindrop is a HOPE, released this year, was well received by his readers and has already become a national bestseller. 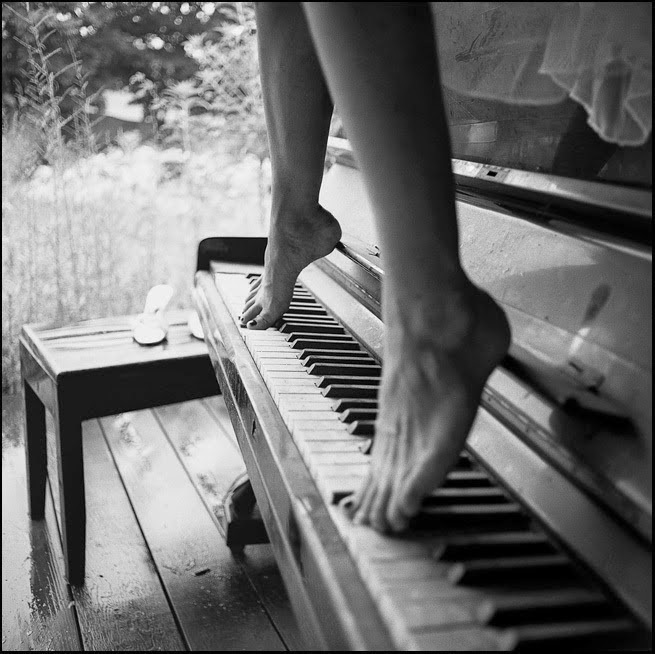 He now hopes to take a second step in this direction through When I Found You. ‘When I Found You’ is not just your usual run-of-the-mill love story. Neither is it one of those I-have-read-it-before kind of a book. True, it does have its moment of boy meets girl, and all the mushiness that comes pre-packed with young dovey love, yet, it differs from the rest in the manner in which the story has been treated. It’s different ‘cause it doesn't adhere to the tried-and-tested formula that have been resorted to so often in the past. 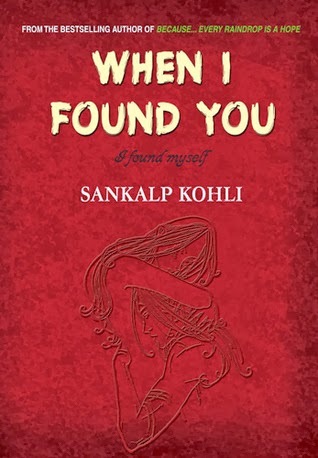 Sankalp Kohli, the bestselling author of ‘Because … Every Raindrop Is A Hope’ presents a sweet little romance in his second venture, and as expected, does a pretty decent job at it. ‘When I Found You’ is the story of Aarav and Tiya, the blossoming of their friendship, and the subsequent development of the feeling of love, hidden, unproposed and undeclared. The timeline ranges right from their schooldays, when they first meet each other in Class VI, to their adulthood, and explores the passage of their relationship over the years, the hardships they face, and the joys they experience, sometimes together, sometimes away from each other, yet, their paths crossing, and the chance meetings at various phases of their lives, giving an all new dimension to their relationship. The author uses a dual character narration in the book, the story divided into different sections, told by either Aarav or Tiya. Thus, you gain a view of both the character’s mind, and their way of thinking. The author in this way successfully manages to characterize the protagonists, making you acquainted with them in a manner that you would know someone close to you. Delving into their mind also gives you the power of judging, as you play their actions in your head, and visualize if you had done anything else had you been in their place. However, though this dual style of narration serves the development of the plot and the story-telling, it also hinders the flow at a few instances. Specially towards the first half of the book, you feel as if you are reading the same happening of events twice, with not much difference except in the tone of the narrators, one by Tiya, and the other by Aarav. Again, in the first half of the book, which deals mostly with their school days, the subtle traits of innocence are found missing that a young teen inherits in school. Perhaps, the author could have done a better job with the first half. The second half, though, is tightly knitted, and along with Aarav and Tiya, you also get to know more about their families, and start feeling for them. Sankalp does a brilliant job in this part, his story-telling and choice of words impeccable, and the narration tends to be immaculate. The pace picks up, and you realize that this author certainly has the potential to deliver, and turn out as the winning horse in the near future. This book excels at several moments, and at a few odd instances, you feel that the writer could have done better. However, do pick it up for the innovative story-line and the beautifully woven second half. This is a quick read, and will certainly serve you well on a lazy weekend. A mathematics teacher, Gaurav Sharma has been writing poems since he was eight. He trisects the age of his passion into cricket, mathematics and writing. As a school boy, he was madly in love with cricket, then, mathematics became his passion and lately the writer in him grew restless. Lunacy for his dreams, he claims, has helped him being a published writer. As a writer, he doesn't want to be just a storyteller but yearns to create a stir. 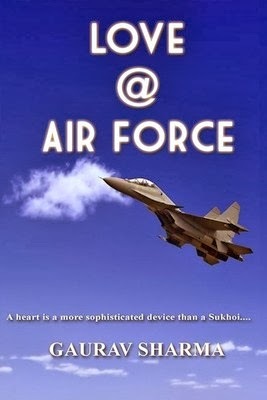 ‘A heart is a more sophisticated device than a Sukhoi’ – goes the tagline, and quite apt it is. No machinery can ever be compared with the complexities and undecipherable motions that make the heart run, especially when it is in love. Gaurav Sharma’s novel, based on this premise, certainly provides a refreshing view of this perspective. The story is narrated by Sushil Awasthi, a Sergeant in the Air Force who is unhappy, both in his personal as well as in professional life. He feels burdened with his ambitions that he had to sacrifice, and often blames his family, and the Air Force for it. He feels that his wife too doesn't understand him, and considers himself lonely. However, when his best friend from school, Wing Commander Shabd Mishra arrives as the Medical Officer in the Air Force Station, his days brighten. The two friends catch up on lost times. Sushil is delighted to be back with his closest buddy, but what takes him by surprise is that Shabd, now in his mid-thirties, is still unmarried, the reason being Soumya. Soumya had studied with Shabd and Sushil, and Shabd was always fond of her. The teenage infatuation had gradually turned to love, but sadly, it proved to be one-sided. Shabd never confessed his feelings, and after school, they never met. And then, as played by fate, Soumya too comes to the Air Force Station, owing to her husband’s transfer at the same site where Shabd and Sushil are, promising a whole lot of crazy antics that only a man, too smitten in love, can perform. This is where the story picks up, and quite thankfully, keeps up the good pace. To be blatantly honest, the storyline is simple. There have been love stories before, and there would be love stories in future, where lovers don’t meet and one suffers in pain. However, what differentiates this book from the rest is the way this subject has been dealt. Slight nuances of brilliance and out-of-the-box thinking here and there elevate the novel as a whole to the next level. For instance, the narrator isn't the one around whom the love story revolves. However, at the same time, Shabd’s love and affection towards Soumya makes Sushil realize the meaning of true love, which in turn helps him bridge the mental and emotional gaps that he often faces with his wife. The status symbol of the personnel, and the differences that ranks create among them is also highlighted. Bitter truth, but true for sure. 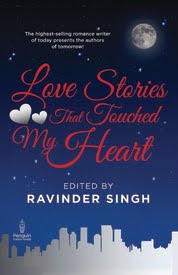 Also, there are several interesting moments in the book that amuse you, one of them being when Shabd recites a poem that he had written for Soumya, right in the presence of her husband. ‘Love @ Air Force’ is a light read, and will keep you glued for a few hours. This is a perfect recipe for a lazy Sunday, and you wouldn't regret picking it up. If not anything else, at-least this book will manage to leave a smile on your face, the satisfaction of having savored a sweet tale, once you are done with it. 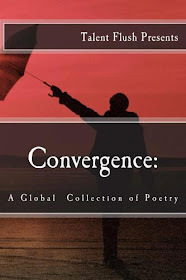 This Poem is shared with Three Word Wednesday - Accelerate, Passive, Rogue. She sat hunched, in rags and tatters, on the abandoned by lane, under the shadow that cursed the fragmented light overflowing from the curtained windows of closets people call home. Her gaze loathsome, her stomach ached with fear; the failure overpowered her senses,and she sat there for a long while, crying. A tiny squeak alerted her, and for the first time in days, she smelt joy; her smile appearing slowly, and then a wide grin spread on her tired face, as she lunged forward, swiftly, cautiously. She caught the beast by its neck, her teeth finding way through its hairy body; a crunch - and dark black blood seeped out in careless meanders. Her finger nails dug deeper, tearing each part of the mouse, her prey, the morsels satiating her hunger, and relieving the pain of her hunger-struck poverty, if only for a short while; and, she chewed, relishing. This Micro-Fiction is shared with Five Sentence Fiction - Ache. This Poem is shared with Theme Thursday - Thirsty. Stories of Hope is a collection of short stories. 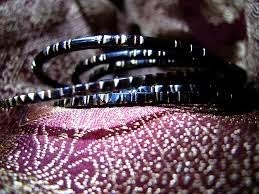 Each tale narrates the journey of a thin red line of hope that fights through adversity. Right from the heart of Nazi Germany in the thick of the holocaust to the collapse of the regime in Egypt in 2011, from the story of hunger in the core of Africa to the tale of Palestine's recognition as a state, there are stories that celebrate the resilience of the Human Spirit. From stories of a mother turned out of her house by her son, to a mother who loses her newborn, to the young wife who must face a baffling truth, and the little girls who face adversities tied to their identity, these are stories that can be anyone's narrative. Stories of Hope is a celebration of Hope and a celebration of the undying human spirit of resilience. There are books that serve as a one-time read, a good time-pass, but nothing more than that. Then, there are books that you would prefer to read again, probably ‘cause you enjoyed the first time, and want to repeat that fun. And then, comes the third category, books that you wouldn't only like to read, but also, live, again and again. Kirthi Jayakumar’s ‘Stories of Hope’ certainly finds a place of prominence in this category. 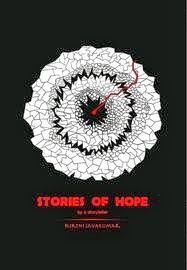 ‘Stories of Hope’ is a collection of numerous short stories, each dealing with different situations, highlighting the hardships faced by the characters, and how, a thin string of hope guides them through, in success as well as in failure. It’s this hope that navigates swiftly through the stories, like a soothing breeze that silently whispers in your ears tales that you would relish and remember forever. ‘Stories of Hope’ plays that part perfectly well. 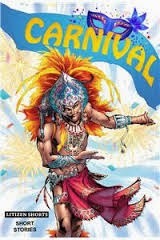 The plots are absolutely different from each other, the genres varied, and that makes this book such a pleasant read. On one hand you have stories related to violence towards women, and on the other hand there are tales where people are lost in time and place, owing to diseases and mental illness. There are stories of war, peace, love and hatred. In short, there are stories for everyone, and for everybody. And there is one common factor that binds all these stories. Yes, that’s hope. Kirthi Jayakumar proves to be a wonderful story-teller, her lucid narration warming your heart. Often, in a short story collection, one might not like a few stories depending on one’s preferences. However, ‘Stories of Hope’ is one such rare occasion where one would easily fall in love with all the stories. Though, a reader might have a few favorites out of the lot, he/she would definitely enjoy all other stories with equal fervor. Talking about the author, and umm, I don’t know where to start. Kirthi is one versatile personality. She is a legal researcher, a lawyer, a volunteer with the United Nations, a Senior Commissioning Editor with e-IR, working with DeltaWomen, and the list goes on and on. Naturally, her immense knowledge and reservoir of skills find way into this book, resulting in a completely unputdownable read. However, I do have a serious request to the author, though. This book is a quick read, and once you start reading it, you will be so intoxicated with the flavor that you wouldn't like to leave it until it’s finished. What happens when it’s over? A hunger for more. Kirthi, it’s my sincere request to you, please write more and more, more and more, and more and more, ‘cause this world needs writers like you, who can make us smile in adversity, and paint pictures of a beautiful, hopeful and more pleasant life that promises to dawn with the rising sun. Kirthi, you have written not just a book, rather, you have perfectly prepared a concoction, a fusion of myriad of colors of life, a teaching, and a learning for all of us. ‘Stories of Hope’ is one of the best short story collections I have ever read, and I eagerly look forward to Kirthi’s next writing venture. And till the time that happens, I will gladly re-read the book all over again, and again, and again. This Haiku is shared with Carpe Diem - Dainichji. This Haiku is shared with Carpe Diem - Konsenji (Temple 3). “Together as One we can Right every Wrong”. In this energizing book the founders of the Joy of Giving, KarmaVeer, KarmaYuga and REX movements bring together enthralling life stories of Karmaveer award recipients. We believe that every human has a hero within; a courageous, compassionate being who has the power to create a better, more humane world. The compelling stories in this book are of ordinary citizens who have unleashed the spirit within, with extraordinary consequences, radically changing society for the better. Their ideas for action and their stories will inspire you at a profound level. They are everyday women and men who have taken their defeats and adversities and turned them into laudable actions for transformation. The list includes globally eminent names like Meera Sanyal, Michael Norton, Arun Maira, Bill Drayton and Kumi Naidoo as well as unsung heroes like Lakshman Singh, Thangsingh Chinkholal and many others. Irrespective of their field, these are people who have reached out beyond their own life to help others, to be and to lead the change by practicing Individual Social Responsibility. In Karma Kurry, their stories have been gathered to inspire all of us to recognize the power of one: our own power to be a champion of change, reinforce the positive in society and leave an imprint on the sands of time. Jeroninio Almeida (Jerry) is a Teacher, celebrated inspirational Orator & motivational speaker, social entrepreneur and a highly sought Management consultant, Leadership Trainer & Life Coach. Jerry is also the founder and driving force behind the International Confederation of NGOs (www.icongo.in), the joy of giving, right every wrong and Karmaveer awards movements. His mission in life is to encourage Individual Social Responsibility by democratizing heroism and inspiring solid character. With Karma Kurry book series Jerry has plunged into writing thought provoking inspirational stories to awaken the hero and leader within people across the globe. Jyoti Nanda is a teacher, special educator, author, editor and certified life coach. There is more to life than we believe. While we are too busy earning our livelihood, and spending time with our family and friends, relaxing and enjoying the pleasures of the urban ambiance, there are many who tread the not-too-easy path, sacrificing their own materialistic desires and chasing dreams and goals that are selfless and honest, without a tinge of greed. Yes, they do have the hunger, but then again, it’s not in filling up their own pockets with wealth and riches but in sharing whatever they have with the world to make it a prosperous place to live in. Pleasant and happy. 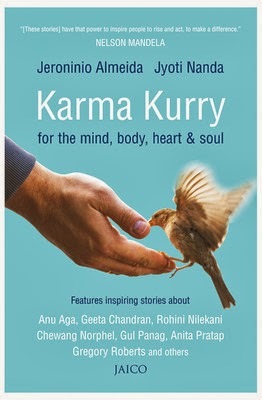 ‘Karma Kurry’ traces the lives of several real life heroes who have taken significant steps for the benefit of society. Take for instance Sailesh Mishra, who performs the duty of a responsible son to several homeless elders, whose children and family have shunned them, or for that matter Subhasini Mistry, who fought poverty, and established a hospital with the sole aim to help the poor who otherwise suffer due to negligent treatment as they do not have the luxury of wealth. What is interesting that, even after their achievement, they still lead the same humble life that they have been living since years, grounded, and believing that their job is only half done. These stories touch you, and inspire you. We idolize cricketers, movie stars, and other celebrities, trying to emulate their actions, aspiring to meet them and be like them someday. How often do we really think of the real heroes? Do we give much thought to the good deeds that they have been performing over the years, without craving for any sort of publicity or attention? Are they not the real heroes who we should support and worship, and try to follow? Jeroninio Almeida and Jyoti Nanda integrate the stories of these brave-hearts, who were unfazed by initial failures, and kept striving hard to achieve their goals. Their hard work paid rich dividends as they finally reached their destinations, providing solution and help to several households and society at large. Social entrepreneurship adopted an all new meaning with the contribution of these stalwarts, expanding its reach and impacting the lives of thousands of people in a positive way. Karma Kurry isn't a fiction. It’s about real people who are fighting out real battles, not for themselves, but for others. It’s perhaps, time for us to be a part of that battle, and make this world a better, beautiful and peaceful place to dwell in.